One 10x10 arcmin field (number 152) from the First Data Release (DR1). Background image is the deep photometric sum of all Mimir images. Thin black vector lengths encode percentage polarization (see reference bar in lower left corner), and orientations show polarization position angles on the sky in this equatorial presentation. Click on image to see full size JPEG rendering of the Postscript version. NEWS:  Data Release 4 (DR4) has been uploaded and is avaiable for use. It consists of 3,234 fields that meet or match the quality control requirements related to seeing, sky stability, data robustnesss, and other criteria. Data for three of the fields were judged unuseable and are planned for reobservation this spring. Another 18 fields will also be reobserved to improve their data quality, as described in the Release Notes file in the DR4 directory. Examination of the GPIPS data showed that about 70% of the fields (2,257 of 3,237) are fine. These have been reloaded to the DR3 data release page as DR3.1 files. Another 10% of the fields have been reprocessed and appear to also be fine. These will be bundled with recently reobserved fields and uploaded as DR3.2 over the next week or two. Another 10% require more extensive data editing and reprocessing and a final 10% require reobservation (planned for May/June of 2017). Deep examination of the POLCATs has revealed some subtle but serious concerns. All Data Releases have been pulled until we can resolve the issue. It appears not to be an observing problem, but likely a data processing one. We hope to have this resoved over the next few weeks and expect to return the Data Releases to this site at that time. Apologies for inconveniences incurred. The move of the GPIPS web site from a physical machine to a virtual one seems to have broken most of the PHP code use to search, select, and even email to us. Since this code was written in 2007 and the author has left the project, things will stay broken until a new PHP programmer can be brought onto the project (perhaps this Fall). Until then, send queries and question to clemens@bu.edu. DR4 data processing continues. 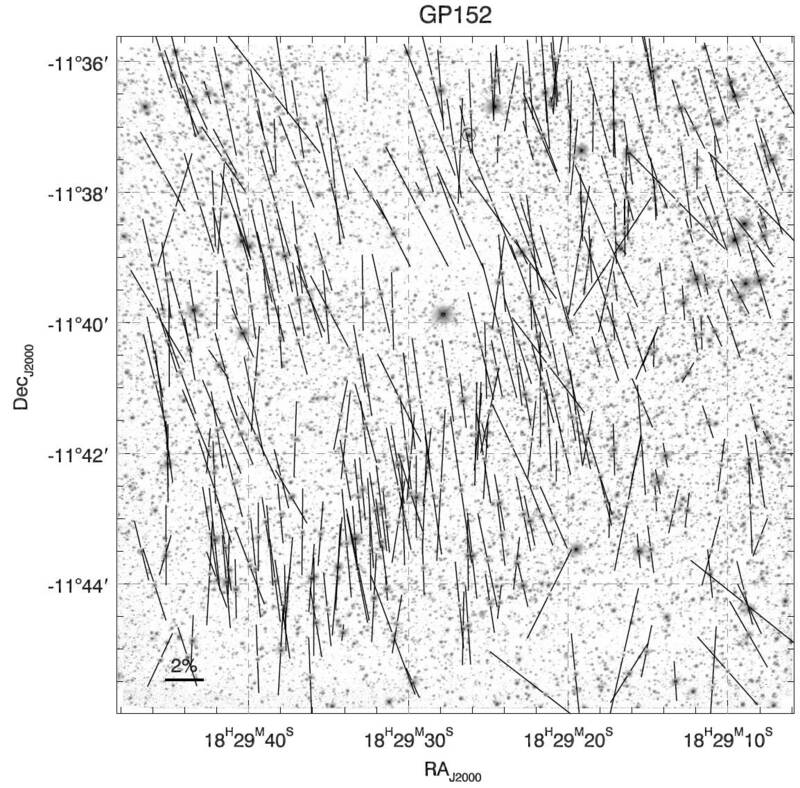 DR3 Release - in using GPIPS data from DR2, we noted several fields displayed astrometry errors and other problems. Closer examination revealed about 50 fields that needed reobservation, and these observations were performed in June, October, and November of this year. Those new data have been fully processed through the BDP and PPOL. We have also realized that the 'secular amplitude' term in our PPOL Step 6 scaling step is likely more important than we initially thought. Previously, we only assessed data quality on the RMS of the mean photometry *after* removing the secular variation due to slow sky transmission changes. This works well for secular variations of no more than about 2.5% across the span of one GPIPS field observation. Testing all 3,237 GPIPS fields revealed that some of these fields had secular amplitudes far in excess of this, likely due to faint cirrus affecting the observations. Reprocessing those fields with the latest PPOL version (8.2.1) did not fix the problems. So, as of today, the Third Data Release (DR3) has been created which includes new versions of the roughly 50 fields previously identified as bad, but DR3 does not contain the 36 fields with unacceptably large secular amplitude variations. These fields will be reobserved in May/June of 2016 and will be merged into DR4 at that time. It is our recommendation to NOT use the DR2 data for the 36 fields with high secular amplitudes. These fields may be found as the priority 1 reobservations listed here. All of the DR1 and DR2 data have been reconnected on this new incarnation of the gpips0 computer. The Images.zip file had to be cut up into 7 smaller pieces to allow uploading, but they are all in place and can be fetched, as well. The system disk for the old gpips0.bu.edu computer died, which led us to decommission that old computer. This website has been rebuilt on a virtual machine and it has taken some time to get the communication protocols sorted out. Sorry about that. Next is to get the DR2 data sets reconnected, which may take a few more days. If you need DR2 sooner, please send me an email (clemens@bu.edu). All of the DR2 files *except* the Images.zip file have been transferred to this new incarnation of the web site. On Monday, I'll again try to move the Images.zip file. [12 March 2014] DR2 (the full GPIPS data release) has been assembled and is being uploaded to this site at this time. This verion of DR2 consists of six large ZIP files (5 x 1 Gbyte; 1 x 11 Gbyte) plus a summary table (dat, and PDF version). Once these are all up and verified, we will begin work on VO compliance and finding mirror host sites. [6 March 2014] Calibration took only two days! Currently running the Data Release Manager to harvest the images and calibrated catalogs into a staging area. Next is to select the best instance of each observed field to migrate into the DR-2 data set. [5 March 2014] The final calibration files (version 20140304) have been created and certified to deliver polarization data as good or better than in the DR1, based on tests with the five fields shown in Clemens+12b. This calibration will be applied to all of the GPIPS data, via PPOL v8.2.1 applied in Step 9, only. This should occupy no more than about a week. At that time all final GPIPS data products will be collected and posted to this site for early community access, as we prepare the steps necessary for VO compliance and VO-based access to all GPIPS images and catalogs. [12 February 2014] All GPIPS fields have been observed and have passed quality control checks. We are in the final (re)calibration phase, using all of the globular cluster and calibration field data covering 2006 through 2013. The boresight calibration (see Clemens et al. 2012b) is consistent with that performed with data through 2011, though exhibiting slightly smaller instrumental polarization and with higher S/N. Next is calculation of the full U and Q instrumental correction images, which should take no longer than a week. With those done, all of the GPIPS data will be calibrated to the newest corrections and will be released (in our field-based form) within a few weeks. Once released, we will focus on making the GPIPS data VO compliant and available to searches and will seek mirror sites for hosting the data. 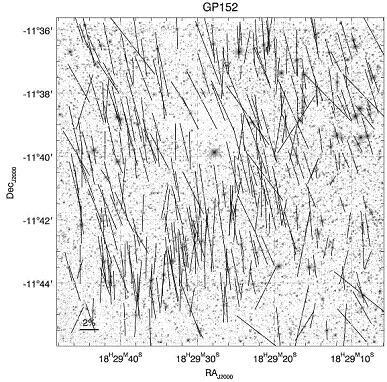 NEWS: [1 June 2012] The First Data Release ('DR1'), consisting of images, PHOTCAT, and POLCAT files for 559 of the 3,237 10x10 arcmin fields comprising GPIPS will be available on this web site beginning June 15, 2012, coinciding with paper publication of the three ApJSupplements articles describing GPIPS, its calibration, and the DR1 data set. The electronic versions of these papers were released last night by ApJ, but we are still in the process of staging the data to this web site. Please check back on June 15th. To learn more about navigating this website, please visit the About > Website page. For more information about the data products, please vist the About > Data Products page. Questions? Contact us using the email form.